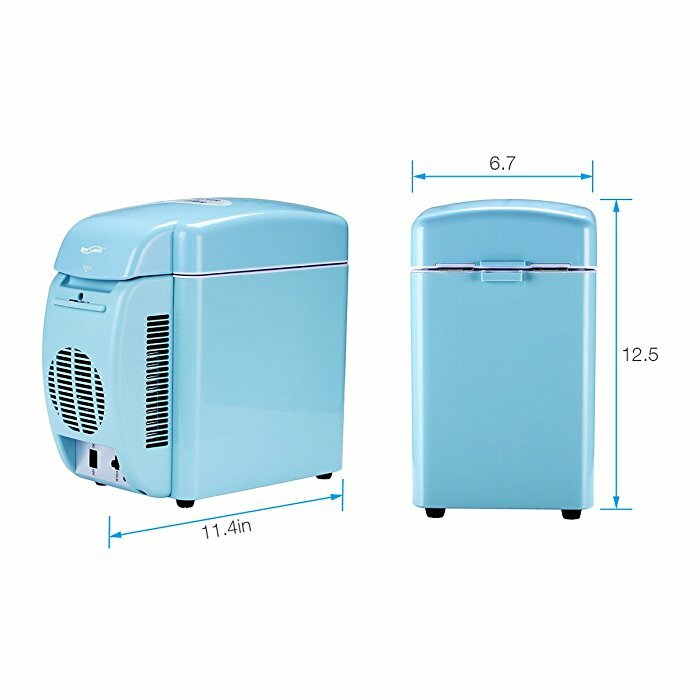 This 7L 12V cooler & warmer is ideal for road trips or fro anyone who spends very much time in a vehicle. This car & home mini fridge makes your food and drinks so accessible and convenient. 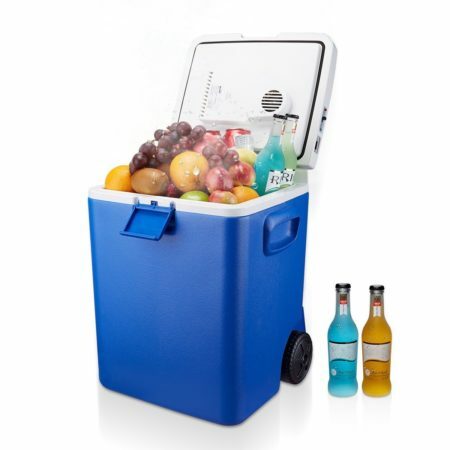 Compact Design and 7-Liter Large Capacity: It holds up to 12 soda cans and fits tall bottles as well. 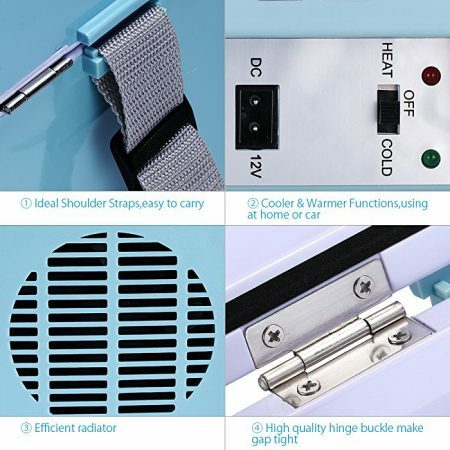 2 Temperature Settings: Cool up to 59 – 64 degrees Fahrenheit below ambient temperature, or warm up to 130 degrees Fahrenheit. Easy to Carry: Adjustable built-in shoulder strap makes it easy to carry for long haul road trips, camping, or use it indoors( for home & vehicles). Simple Operation in Vehicles: Plug it into the 12V DC cigarette lighter outlet in your vehicle. 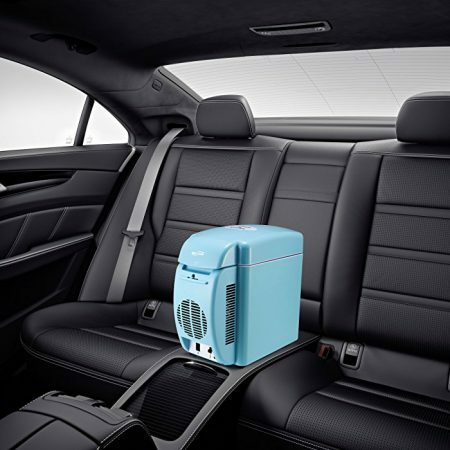 Super Low-noise Design: Great noise control technology, less than 35db, makes it perfect for keeping food and drinks cool or warm on the road. 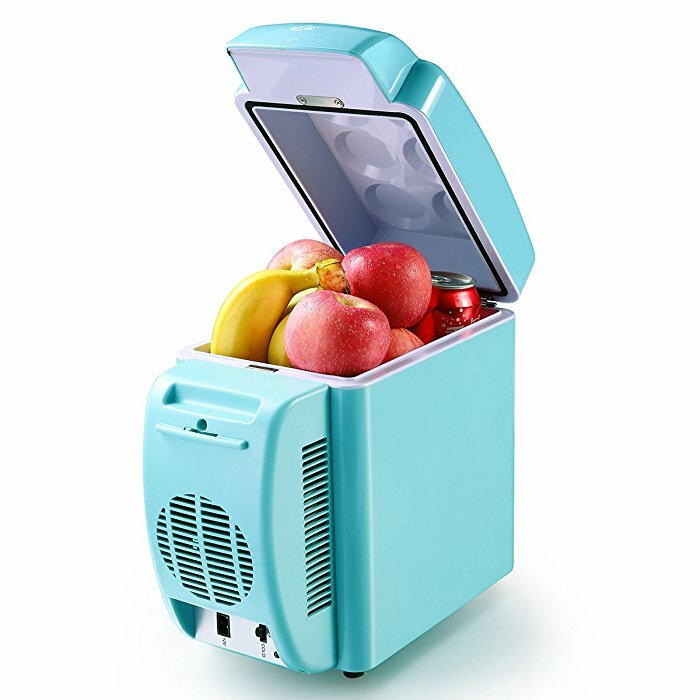 This portable car refrigerator design derives from one of the top E-commerce retailers, Housmile, who has been in the research and development of stylish and useful household items for over 2 decades. Housmile, as always, would like to share the inspiring ideas of health, safety & conveniences with customers. We deal in a wide range of household items that will bring you a convenient life style. 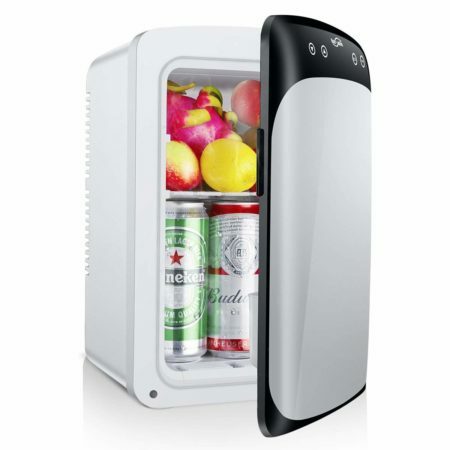 This Housmile mini fridge is one of the latest and most typical models of our mini fridge series that will make your day effortless and productive. Best Choice: This 7L 12V cooler & warmer is ideal for road trips or fro anyone who spends very much time in a vehicle. 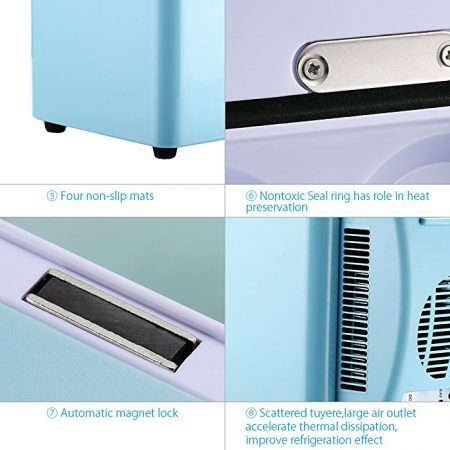 This car & home mini fridge makes your food and drinks so accessible and convenient. It is perfect for anyone who feels hungry or thirsty while driving by keeping snacks and drinks accessible at all times. Enjoy healthy snacks such as a cold crisp apple, yogurt with granola, or dark chocolate that won’t melt when you’re ready to eat it. Use this to avoid detouring from your intended driving route, avoid waiting in line just to quench your thirst or purchase a warm meal, and continue driving to your destination. Cooler & Warmer Functions : Superior foam insulation and energy efficiency allow your food and drinks to reach maximum 59-64º F below room temperature for cooling without the mess of melting ice. 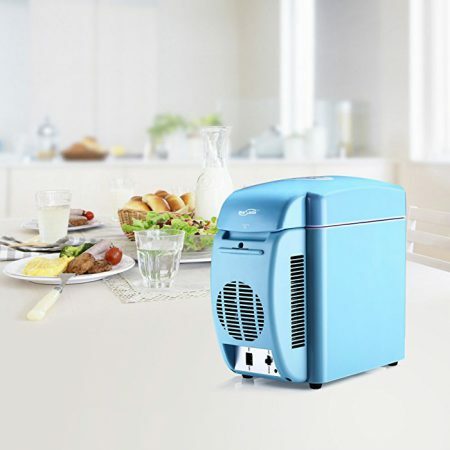 The heating function can reach maximum 130º F to keep your snacks warm. Compact & Lightweight Design: It can hold up to 12 soda cans and can fit tall bottles as well. 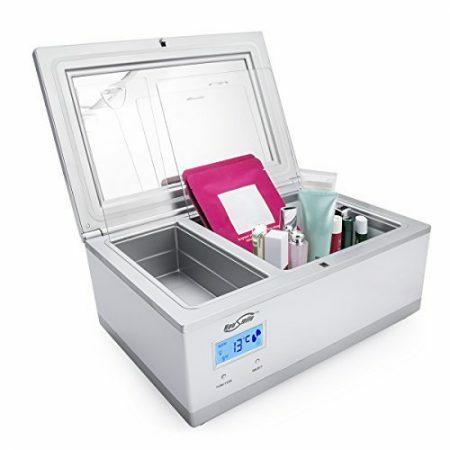 It can cool up to 59 °F – 64 °F below ambient temperature, or warm up to 130 °F in an ambient temperature of 75°F. 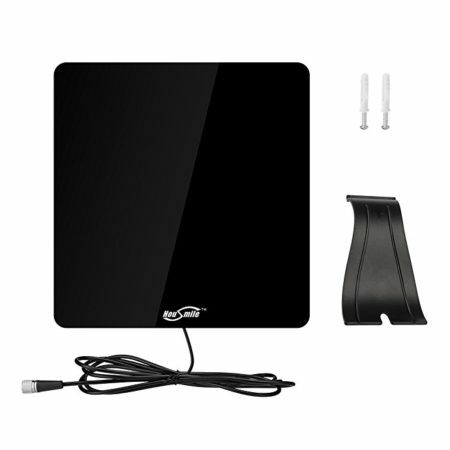 It’s great for short or long haul road trips, camping or even in the house. Ideal for smaller rooms such as student dormitories, wet bars, apartments and condos. 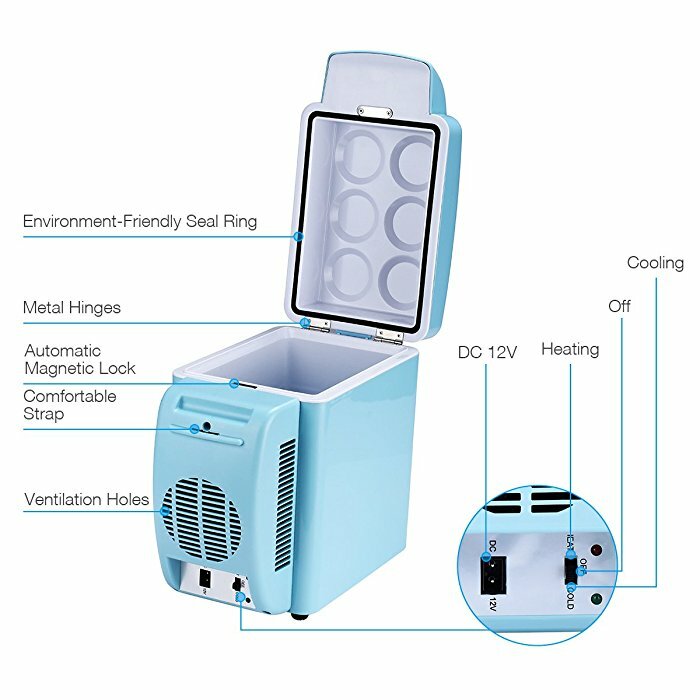 Please use this mini fridge in vehicles with voltage between DC12V and AC100V-240V. Do not use it in DC24V cars.